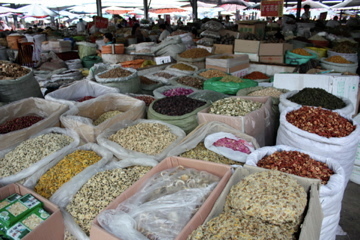 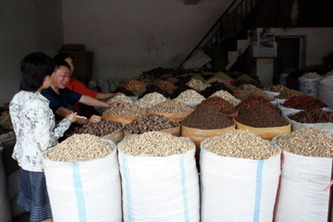 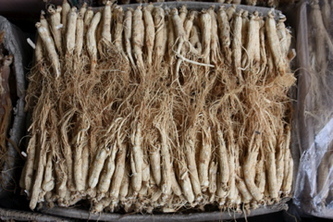 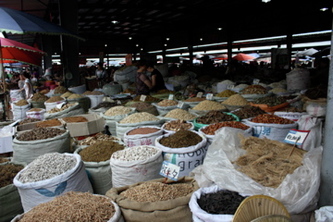 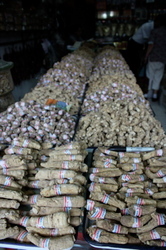 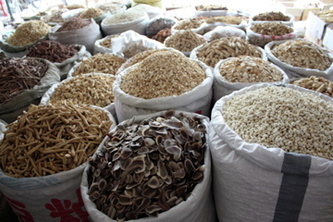 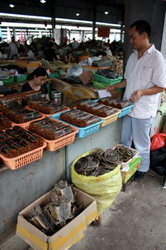 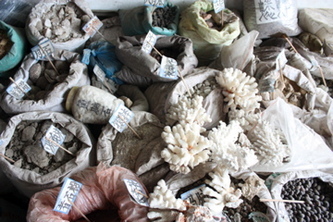 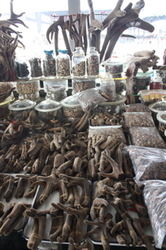 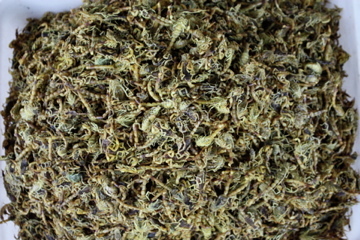 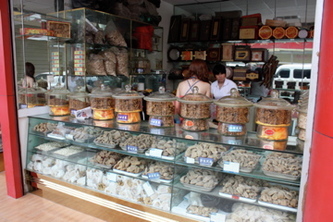 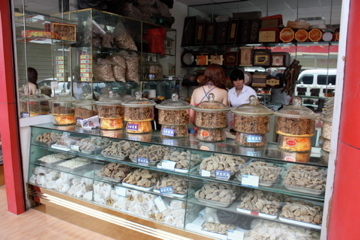 The Chengdu Herbal Wholesale Market was a covered open outdoor market until 2009, much like a traditional food market. 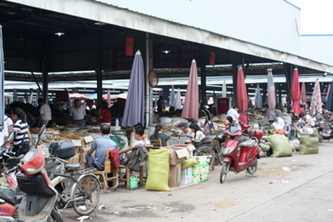 It then moved to a new location in a modern, indoor, massive shopping complex at He Hua Shi. Click on the images to see an explanation of each photo.